Pickle (Achar) made from individual varieties of vegetables and fruits chopped in to small pieces and cooked in edible oils with spices and salt is commonly consumed item with Indian Meal. Pickle enhances the taste of the meal and increase the satisfaction after every meal. 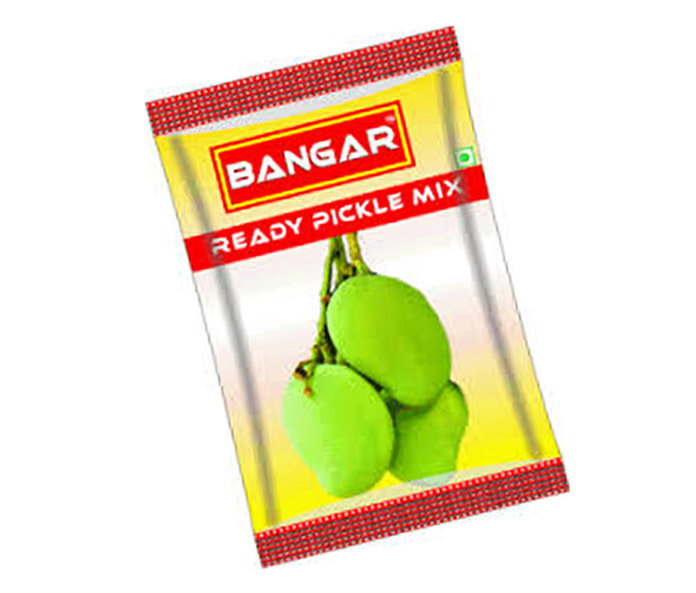 Bangar Ready Pickle Masala has the quality ingredients with a perfect blending combinatin which makes homemade pickles tasty. Used in making pickle. A pinch of this masala is also used by housewifes in their day to day vegetable dishes to add taste and extry pungency. Use 100 gms of pickle masala for preparing approx. 1 kg of ready mango. For further information refer instruction on pouch.